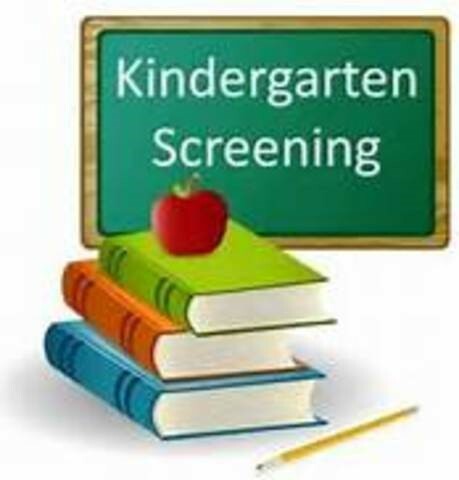 Please call the District Registrar, Gloria Albert, 631-367-5910 to schedule an appointment. 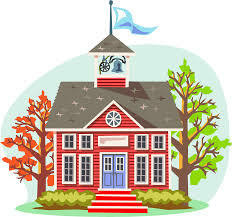 Click the schoolhouse for more information. 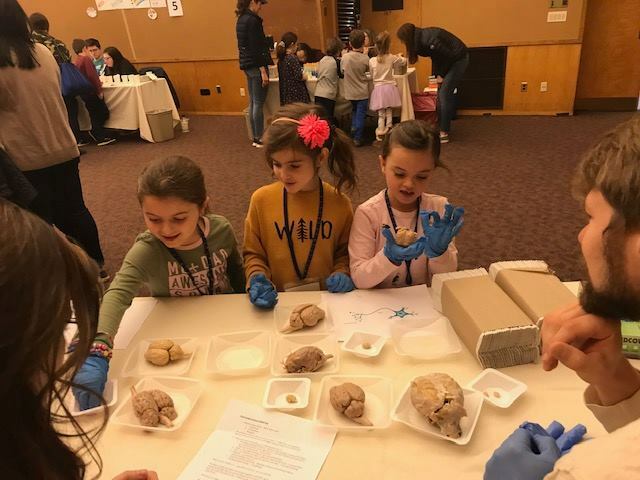 The annual CSH Laboratory Science Fair for Goosehill is truly a family favorite and one event you don’t want to miss! 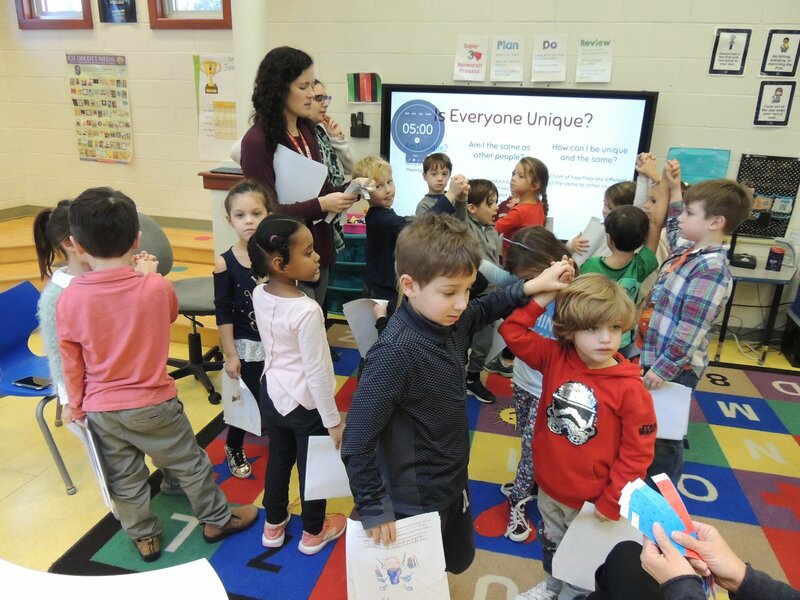 As part of our school district’s partnership with the Laboratory, first graders participated in six exciting science activities, on a rotating basis taught by the scientists. They explored the properties of a “seaweed surprise” . . .
Students raised $1,000.00 dollars (in coins!) for Little Shelter as part of a SIT-sponsored community service project in . . . 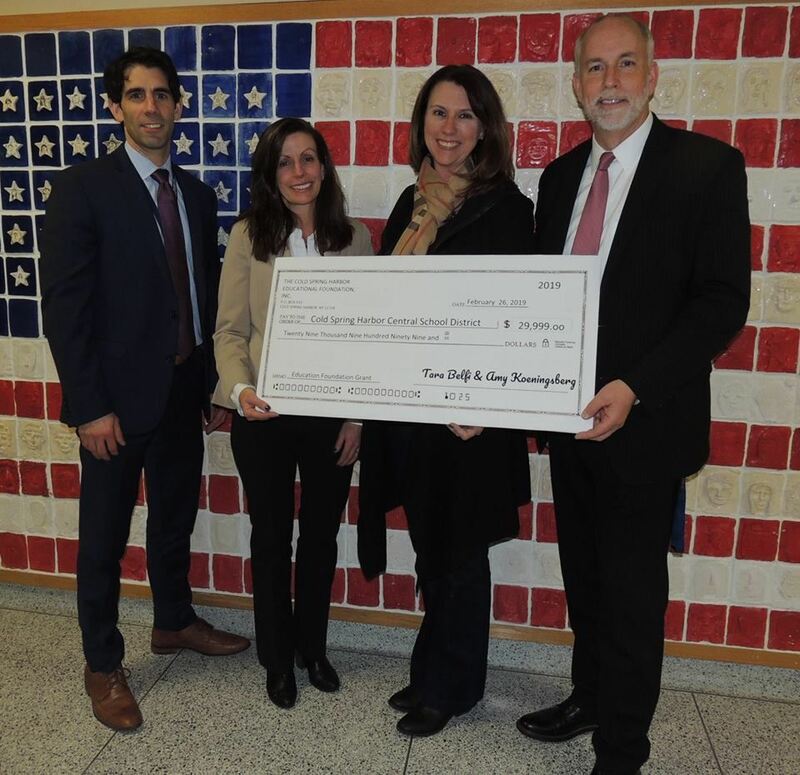 Donations: Cold Spring Harbor Educational Foundation for Goosehill STEAM Lab. The Board of Education accepted the very generous donation from the Foundation in the amount of $29,999 for an indoor/outdoor STEAM Lab at Goosehill Primary School. 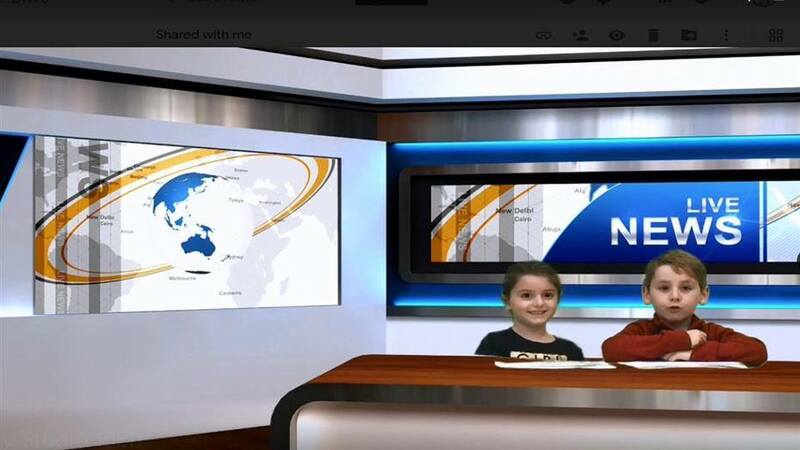 New to Goosehill this year, are Live TV special broadcast reports, with the help of Library Media Specialist, Ms. Marissa Uso. 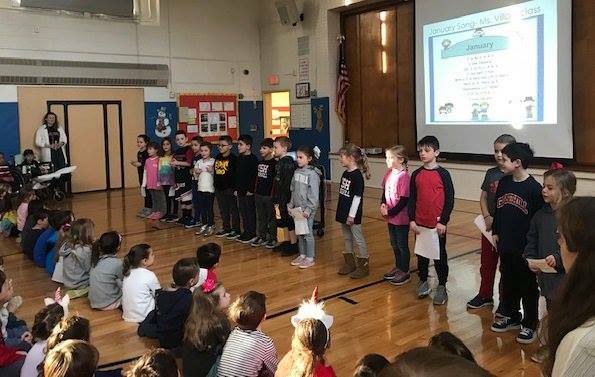 Here, Goosehill students filmed a newscast informing viewers about Chinese New Year, and about how to be a . . . 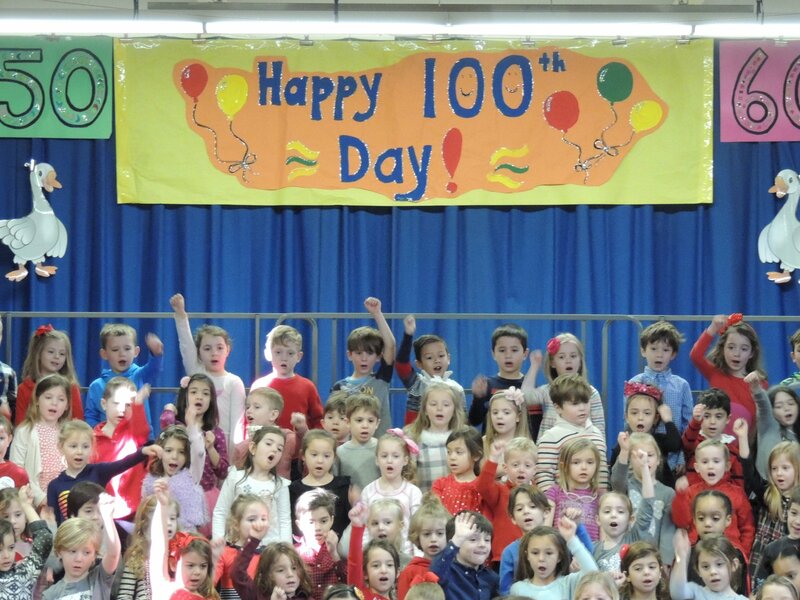 Happy 100 Day! Students celebrate this special day in a big way! They gather on stage to share their morning assembly of songs with family members who come to watch and sing a long. Classroom doorway entrances were decorated with 100-Day gateway tunnels and streamers, and . . .
GH - Is Everyone Unique? A trip to the library often incorporates a co-teaching experience for the kids at Goosehill. 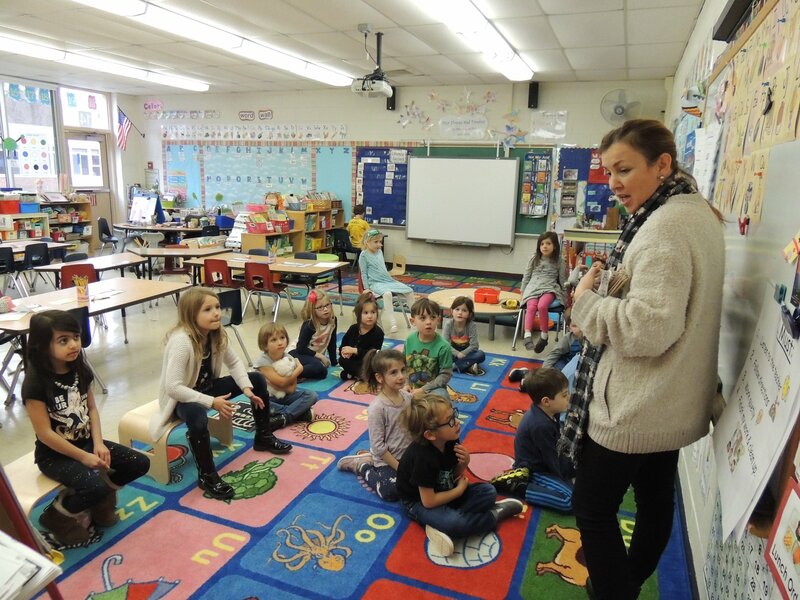 Here, Ms. Franciscovich's students, along with Library Media Specialist, Ms. Urso, collaborated on a social studies unit. Students created self-portraits with the theme "Is Everyone Unique?" showing how all people can have similarities and differences . . .
Ms. Adams' kindergarten writers used "sight words," newly-learned punctuation marks, and a "Spaceman" tool to remind them to add spaces between words. They were so proud of their writing and drawings! Ms. Cucolo's students are learning the concepts of force by experimenting with "push and pull" toys. Next, they . . .
Goosehill kicked off a Super Hero Theme at the Spirit Day Assembly on January 17th. Students performed skits & recited poems about being a H.E.R.O. - the Goosehill acronym representing: Being Honest, showing Empathy & Respect, & being Open-Hearted. Goosehill kids are Superheroes!